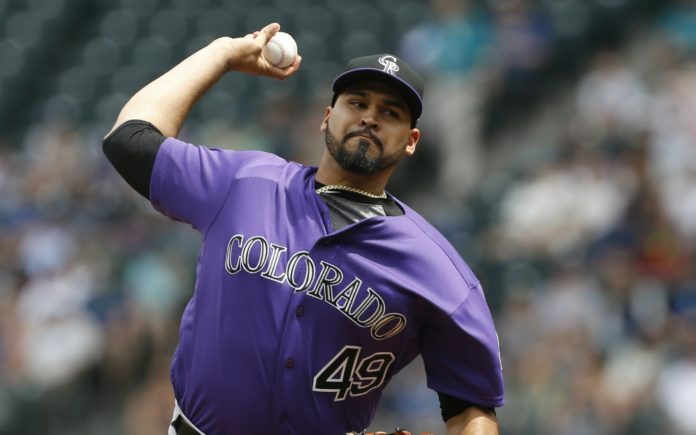 Antonio Senzatela in his last start, July 8. Credit: Jennifer Buchanan, USA TODAY Sports. #Rockies announce they have reinstated RHP Antonio Senzatela from the 10-day DL (blister on right middle finger) & have placed RHP German Márquez on the paternity list. Not only is Senzatela back on the active roster after dealing with that “hot spot” on his finger, he’ll get the start today in about one hour from now. That, per Patrick Saunders of the Denver Post. 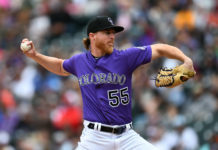 The Colorado Rockies are red-hot, winners of a season-high seven straight games, and they look to sweep the Diamondbacks in Phoenix today, with the first pitch scheduled for 2:10 p.m. MST. This season, “Senza” has gone 3-2 with a 5.34 ERA, giving up 18 home runs with 20 strikeouts. 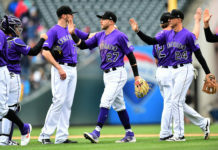 On this winning streak, the Rockies have been able to put together their hitting and pitching in every game, resembling not only a complete team, but a true contender. They need Senzatela to be on his game today against what will likely be a hungry D-Backs squad. “Senza” started the year in the bullpen, and after going down to Triple-A Albuquerque, he’s been starting. He’s 1-1 in his two starts this year, both coming in early July. 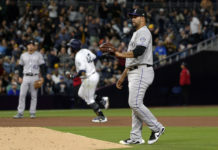 Colorado came back to win on Friday night — thanks to two homers by Nolan Arenado and a grand slam by Ramiel Tapia — and then the Rockies came back last night, too. Arizona now sits in third place in the NL West, while Colorado is a mere 1.0 games back of the Los Angeles Dodgers. Meanwhile, Marquez has been very good this season, especially as of late. He’s gone 8-8 on the season with a 5.00 ERA, but has won four of his last six starts. Colorado will be looking forward to getting him back from the paternity list.